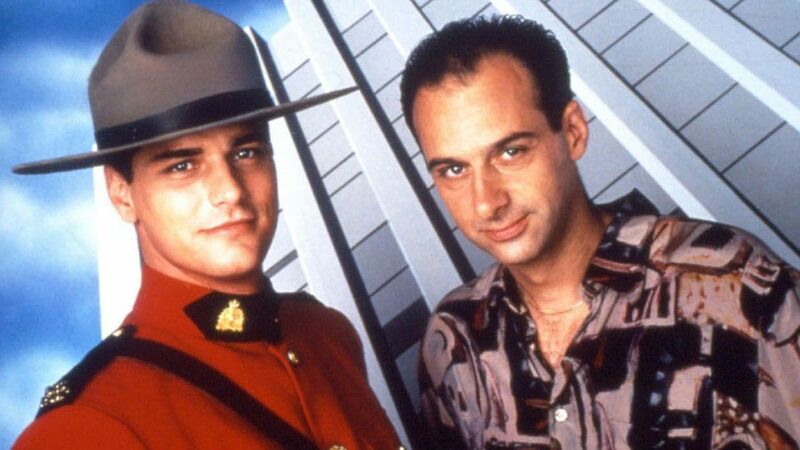 Here's where to watch every episode of Due South season 4. Mouseover or tap an episode to see where to stream it. Click or tap the play icon to stream it on the best available service. Dr. Longball Sep 23, 1998 Welsh's brother calls for big-city backup to catch baseball-team saboteurs. Easy Money Sep 30, 1998 Fraser's childhood mentor(Tom Quinn)arrives in Chicago with the hope of stopping a U.S. company from constructing a hydro dam that will leave his northern village under water. A Likely Story Jan 21, 1999 When a pretzel vendor is gunned down in the park, Fraser investigates the crime, with surprising results. Odds Nov 11, 1998 When a beautiful poker player (Denny Scarpa) is arrested, she cuts a deal with the Feds. Fraser is planted in a high stakes game of cards and Ray must come to his rescue when the poker game gets rough. The Ladies' Man Oct 21, 1998 Ray has misgivings when Beth Botrelle, a woman he arrested years ago for murdering her police officer husband,is scheduled to be executed. Accompanied by Fraser, he tracks down evidence that proves her innocense. Mojo Rising Oct 28, 1998 After a voodoo priest dies in a cell, his body disappears from the morgue. Mountie Sings The Blues Nov 18, 1998 A Canadian country-western singer gets death threats. Good For The Soul Dec 16, 1998 Ray arrests a mob boss for minor assault, and Fraser is determined to make it stick. Dead Men Don't Throw Rice Nov 4, 1998 A murder-for-hire business has a unique body disposal system...funeral caskets. Say Amen Mar 4, 1999 Fraser and Ray investigate after witnessing men in a white limousine abduct a teen girl from a shopping mall. Hunting Season Mar 11, 1999 A female Mountie who comes to Chicago after two murder suspects has a strange attraction for Fraser. Call Of The Wild (1) Mar 14, 1999 Fraser and Kowalski pursue an arms dealer to the Yukon, where they join forces with Buck Frobisher's (Leslie Nielsen) detachment. Call Of The Wild (2) Mar 14, 1999 Fraser and Kowalski pursue an arms dealer to the Yukon, where they join forces with Buck Frobisher's detachment.